The Napa Valley is a destination known for great food, impeccable wine and beautiful scenery. 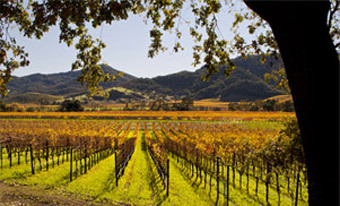 Because of this reputation, the Napa Valley has enjoyed the benefit of steady tourism rates during past years but had not conducted comprehensive visitor research to better focus its marketing efforts. It also did not understand how much visitation had actually grown and the economic impact of that growth on the county. Since Visit Napa Valley had conducted little research into the destination’s visitors, they did not have actionable intelligence to work with in developing their advertising and marketing strategies. Their first step was hiring Destination Analysts to gain a better picture of who their current visitors are, and via our extensive visitor profiles research, understanding why they visit. A self-administered survey of lodging guests was conducted at numerous lodging properties to determine the types of visitors that came to Napa Valley and stayed in paid lodging accommodations. A visitor intercept survey was conducted on a random sample of visitors at a number of Napa Valley locations and attractions to understand more about visitors who did not stay in paid lodging, such as visiting friends and relatives (VFR’s) or day-trippers. A supplemental telephone survey of Napa Valley homes was administered to quantify the number of VFR’s who stayed overnight in a private home. Surveys of meeting planners and local area hoteliers were conducted to develop estimates of expenditures made to plan events in the area. Visit Baton Rouge is constantly examining social media success rates, and our team has had a wonderful partnership with Destination Analysts to do just that. Their Social Media ROI study to measure conversion from likes/followers to actual visitors is invaluable research that helps develop our social campaign strategy, quarterly content plan and budget plan for the next year. In 2014, Destination Analysts conducted our study in the midst of the busiest summer to date for Baton Rouge. Their professionalism and attention to the details that mattered to our organization and stakeholders was considerable and very much appreciated.